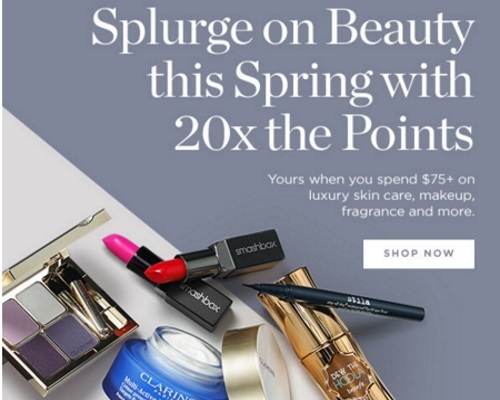 This weekend at Shoppers Drug Mart get 20x the Optimum Points when you spend $75 or more on cosmetics, including luxury skincare, makeup, fragrances and more! This offer applies in-store and online in their Beauty Boutique! Offer is valid Saturday, April 2-Sunday, April 3, 2016.